Every day we find more and more brides turn to online searches and purchases to shape up their wedding day. While we firmly believe it is important to shop local for the most important wedding day planning decisions, Important to meet personally and signing agreements with each of your vendors is vital to your being able to relax and enjoy your wedding day. Confidence in who you hire is an underlying factor. Searching the internet is a very helpful beginning to any wedding planning. We found people today shop online for wedding dresses, bridesmaid dresses, great prices on wedding invitations and great ideas for wedding favors, The concern is the errors we make when ordering online, Having someone wait on us and be involved with our purchase can be very helpful when we have so many things to do - to shape up a wedding day. Receipts - Keep a printout of all online receipts in your records book. Note the date ordered and calendar your I phone for the day they should be arriving. With wedding favors, ordering the correct number is important. How do you know until the last minute how many guests are coming? Very few companies can give you the last five or ten days prior to a wedding shipments. So choose your company in the USA and pay for the fastest shipping. Or order ahead and accept the left overs. Ordering a wedding dress or bridesmaid dresses online is complicated - regarding the correct sizes. Each company handles this differently. You will likely have to order a dress too large and have it altered by a local seamstress. Consider prior to purchase, if there is a good seamstress in your area who knows how to do wedding dress alterations. Many dress shops will NOT alter your purchase from another store. Because of color vat changes, order the bridesmaid dresses together, so the colors come from the same colored cloths. Wedding Flowers ordered online - Please go with a reputable company....Yes, they often save money. Yet you may have anxity over their arrival, have to store them in a cool area until you complete the bouquets. If they come loose in boxes, someone has to arrange them and get them into vases and into the decor you outline. Working with flowers can stain and give your hands a very bad look for wedding photos. Decorating the cake can be a nightmare for last minute prep. Wedding Rings & Gift Jewelry - it helps to order these ahead with a company that guarantees refunds. When your attendant gifts arrive, be certain to check their quality, if each item fastens correctly and count them out, to make certain your ordered the correct number. Keep a printout of all online receipts in your records book. Gift Baskets For Your Guests - Often brides want to provide a nice gift basket in the rooms for parents or grandparents. If they are to be delivered to a hotel, make certain the room clerk knows ahead that you are expecting delivery. Subject: Engagement Equals = Wedding Planning!!! So many of you are getting engaged at this time of year, or maybe it is your anniversary of when you became engaged last year and you are in your final stages of wedding planning. Our digital Magazine - open here to AWARD winning venues and services throughout the state of California. Just click on the links and go directly to the venue or vendor's website. "Best Style California Wedding & Honeymoon"
WeddingLinks.co provides venues for every style and budget wedding. We give you the number of guests, a direct link and general ambiance prior to your even looking at a location. 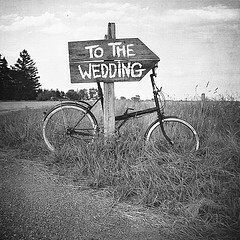 We also offer you a FREE wedding planner "The Wedding Manifesto" We e-mail you the links to the book, management forms. Easy to read and follow. Just send us your e-mail, wedding date and city to be married. So many of you are getting engaged at this time of year, or maybe it is your anniversary of when you became engaged last year and you are in your final stages of wedding planning. The Holiday engagement and dazzling engagement ring is very exciting to put on your finger during the season. We wish for you ... successful wedding planning with our books, magazine & websites below! Join in the conversation on our blog. Love to hear your comments.